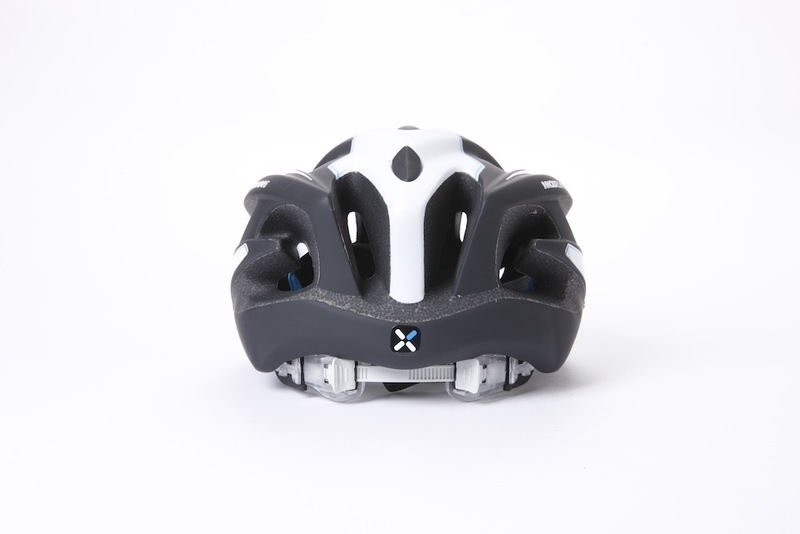 Despite the “MTB” in its name, this is a helmet which serves equally well for road riding, the MTB in its name simply indicating that it comes with a removable visor. Decathlon has a reputation for selling quality bicycles and cycling accessories at very sharp price points. 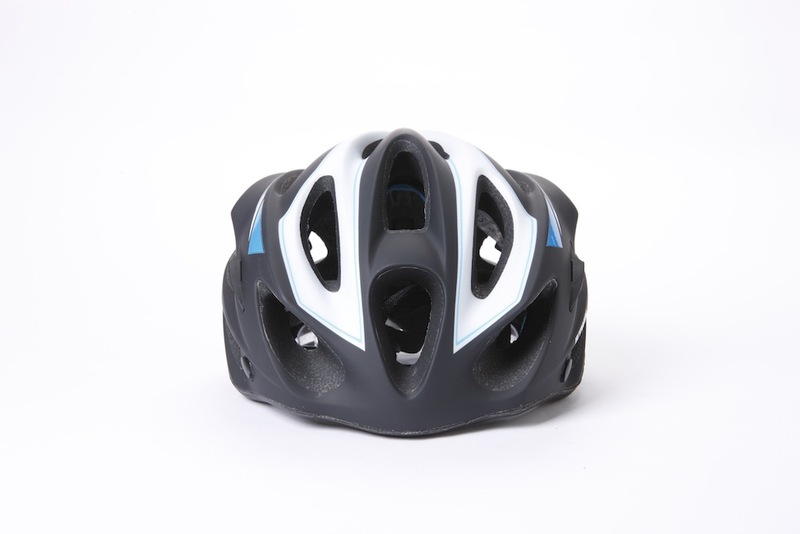 The BH700 is a light in-mould constructed helmet at a very low price point. In-mould construction means that the polystyrene protection is bonded to the shell during manufacture. This results in a lighter weight and more rigid structure than bonding the two together later, allowing a more vented design. The B’Twin has 17 vents, including a large central vent at the front, below which is a removable pad across the forehead. There is more padding at the temples and in the top of the helmet. The helmet comes in matt black with white and coloured accents. There’s some roughness around the edges where the shell and polystyrene meet and the matt white panels are a bit prone to scuffing, but overall the helmet has a quality, robust feel and of course meets all bicycle helmet safety standards. Although the level of padding is less than some other manufacturers’ higher-end helmets, it is comfortable and I did not find that there were any pressure points against the shell. The forehead padding, in particular, is comfortable and well positioned to avoid sweat running into the eyes. Fit is adjusted at the rear via two sliding grips. Although more expensive helmets have moved to using a dial, this mechanism works fine and it is not difficult to tighten or loosen when moving. The wide nylon straps ensure that it is easy to get a firm, comfortable fit. They are adjustable to meet just below the ear and have a sturdy plastic connector. With the degree of venting on offer, the helmet is not hot and remains comfortable even in warmer conditions. In usual UK Spring weather, cooling is just not an issue. I found the BH700 perfectly comfortable to wear for rides of different durations, ranging up to five hours plus when completing the Wiggle Ups and Downs Sportive.